Fuerst Romancier, black Westphalian Stallion by Fuerst Heinrich/Florestan I, born in 2004, standing approximately 16.2 hands. At the 70 day test he received 9’s for all three basic gaits and a 9.5 for rideability He has extremely elastic movement swinging through his entire body with a high degree of impulsion. A dressage stallion in a class of his own! 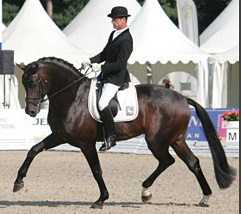 Sire Fürst Heinrich was himself crowned World Champion as a five year old in 2003. 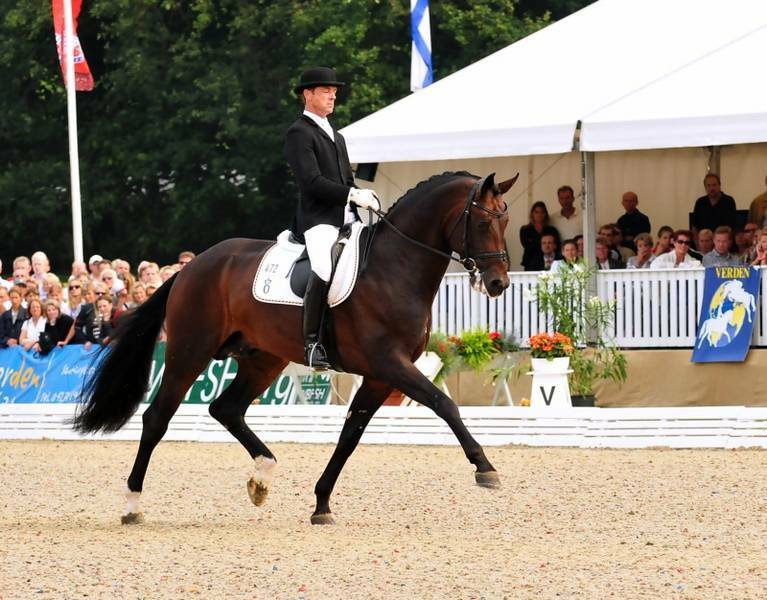 With an above average breeding index of 160 points he is ranked as one of the leading dressage sires in the German Federation’s breeding evaluation. The dam’s sire Romancier adds – as the half brother to Rubinstein – the precious Rosenkavalier into the equation. Fürst Romancier descends from one of the most successful Oldenburg mare lines: the Edoste. Numerous licensed stallions emerged from this line such as the National Champion and European championship participant Exupéry as well as reserve national champion Landjuwel Gold, the Olympic horse Petit Prince, Grand Prix winner Avignon in addition to numerous advanced dressage horses. Fabulous modern type whom already demonstates an ability to shorten and lengthen in all paces, would add power to blood type mares and refinement to heavier mares. With everything you would expect from a Florestan in terms of temperament. At the German national championships in Warendorf, his daughter Fasine triumphed as champion of the six-year-old dressage horses. In the five-year-olds, there were three well-placed finalists by Fürst Romancier, and he was also present in the top placings with the Ridden Horses. Fasine, 2012 winning mare of the Oldenburg elite mare show, was the top price of the PSI-auction in 2015 and is the full sister of the licensed stallions For Romance I and II. 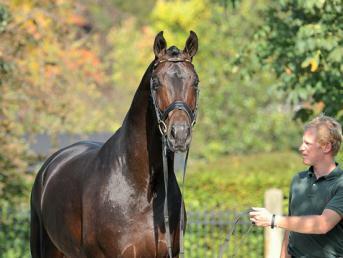 For Romance I, licensing and main premium winner in Oldenburg, was also sold for a record price. For Romance II was premium stallion in 2015. 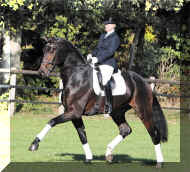 In total, Fürst Romancier can name 25 licensed stallions. Several times, Fürst Romancier enriched the German national championships with strong contingents. 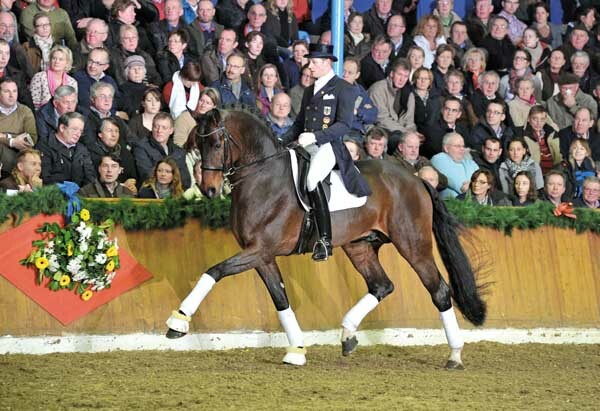 His progeny are very successful in elementary/novice classes and have put Fürst Romancier in the top group of all German dressage stallions, according to the FN breeding value estimation index, with 151 points. 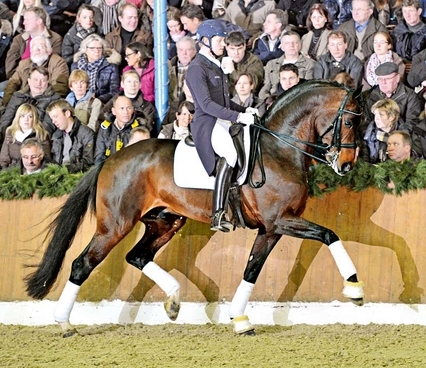 Fürst Romancier was a main premium champion and in 2009 the most successful stallion of his year at the World Championships of 5-year-old dressage horses. At the German national championships, he came second in the qualifiers for the final with a mark of 9.0.before taking fourth place in the final as well as the Young Dressage Horse World Championships. He was awarded the highest marks of between 9.0 and 9.5 for rideability and the three paces at the stallion performance test. 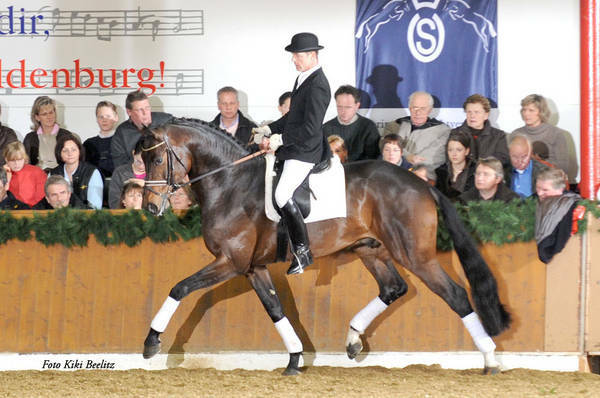 The sire Fürst Heinrich was dressage horse World Champion and in his short time at stud, produced some extraordinary horses, such as the dressage World Champion of 2011 Woodlanders Farouche and the Oldenburg champion stallions Fürstenball and Van the Man. Dam sire Romancier comes from the multi-successful Olympic dam line of Dodona. As a dam sire to significant sires (among them Don Romantic) he has perpetuated his name permanently in the annals of worldwide dressage breeding. Fürst Romancier is ambassador of the valuable original Oldenburg dam line of Edoste, from which come 13 licensed stallions, amongst them the champion of the German national Championships and European Championship participant Exupéry, the vice German national champion Landjuwel Gold, the Olympian Petit Prince/Ellen Bontje, the Grand Prix winner Avignon (with Thomas Schmitz German Champion) and the international winner at advanced level/S level Questa Vittoria/Thomas Kleis.